Inefficiency due to low flow, a closed valve, a blocked pipe, etc. 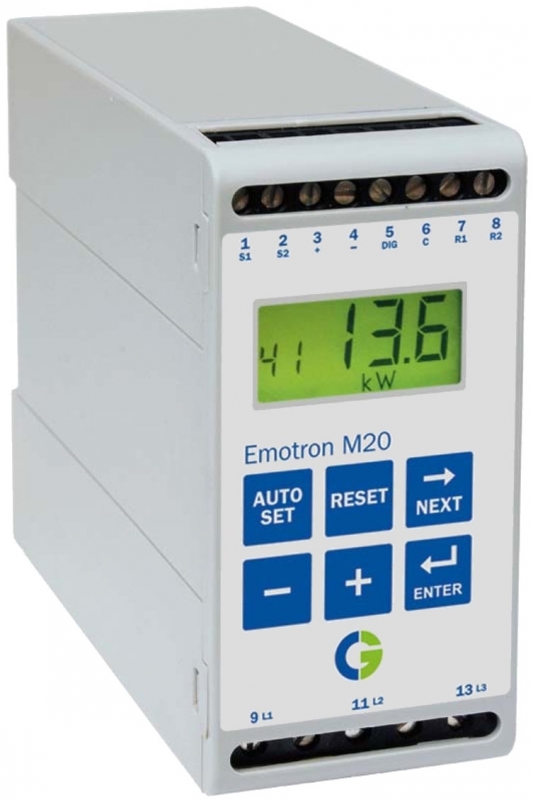 Emotron M20 shaft power monitors require NO special programming and NO external power supply. They are small enough to fit into a typical motor starter enclosure and can be set in as little as 3 seconds!